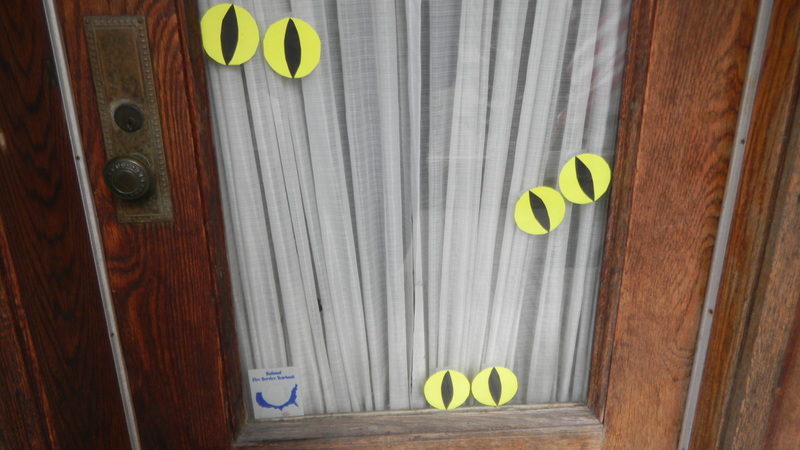 I started out my Halloween decor posts by showing you about how I made the creepy eyes for my front door. It’s even more fitting that I’m now showing you my front staircase to my apartment. Sort of like a virtual walking tour of my haunted house. 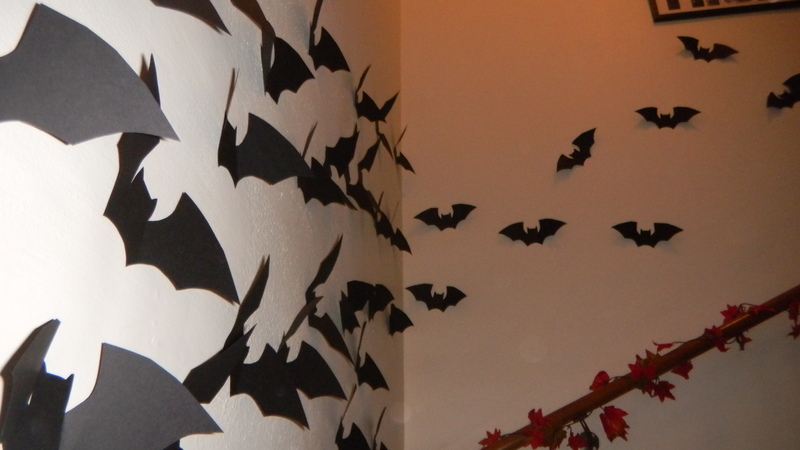 Yep, things are starting to get seriously spooky now with these entryway bats. I was inspired by this photo, which I saw pretty late in the Halloween game last year. 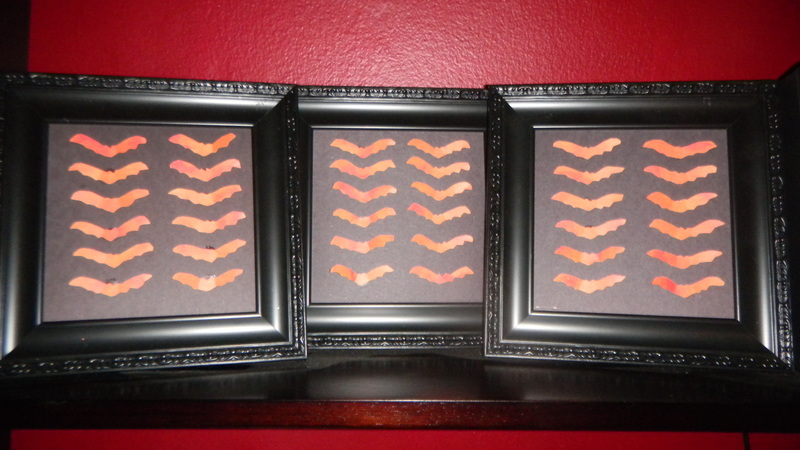 I didn’t have the time or energy to make such a cool bat display last year, so instead, I made these bat specimen art frames. Would have been a whole lot easier with a bat hole punch, let me tell you. 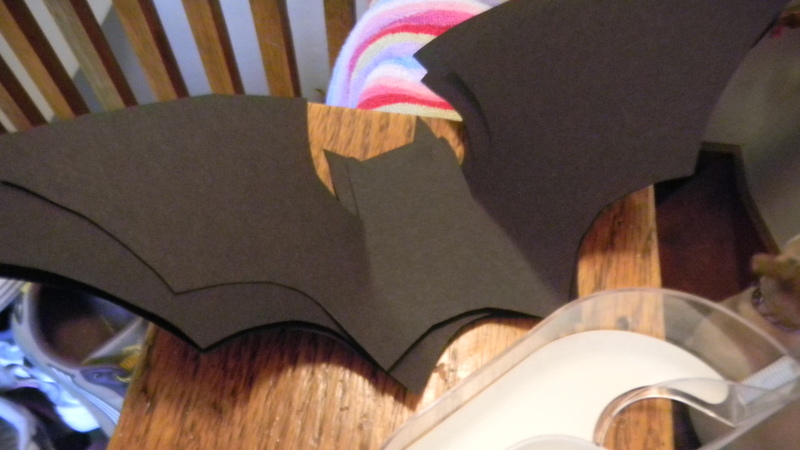 This year, I started early, mindlessly tracing and cutting out bats while watching TV. I had all the bats in no time. 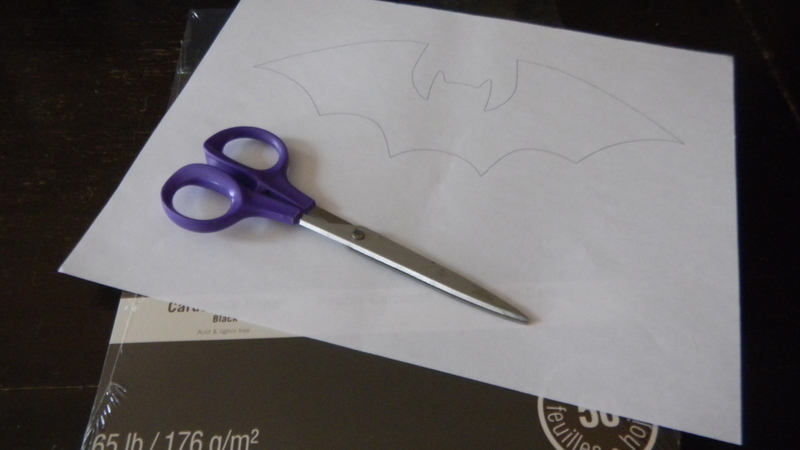 I started out by googling for a bat template to trace. I printed the image on normal paper. Cardstock probably would have been the better choice, as it would have been easier to trace, but oh well. 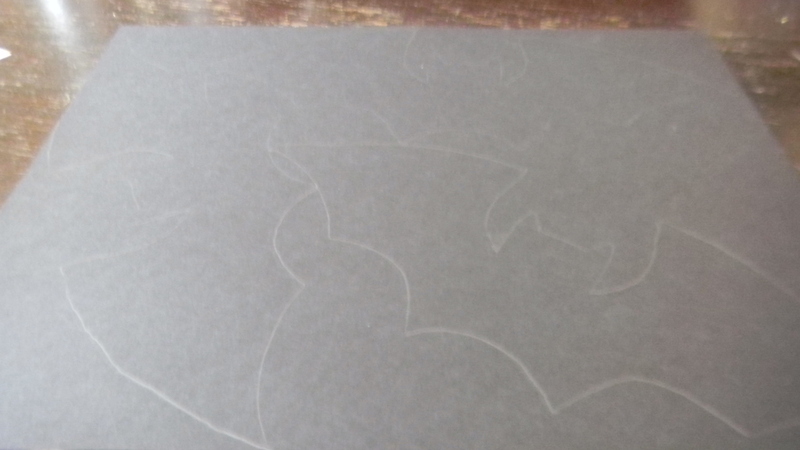 I cut out the template bat, then used it to trace the many bats that followed. I used plain black paper I purchased from Michael’s. 50 sheets for $3.99 with a 50% off coupon for a grand total of $2 plus tax. 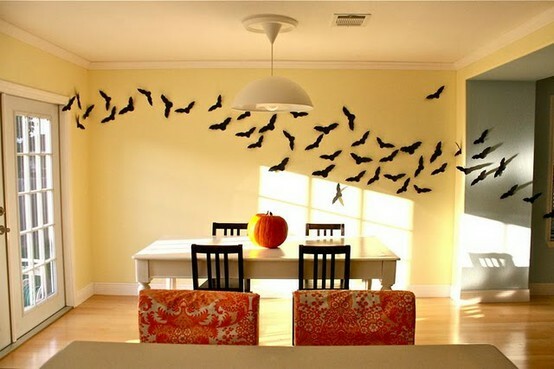 Not a large price for such a high impact decoration. 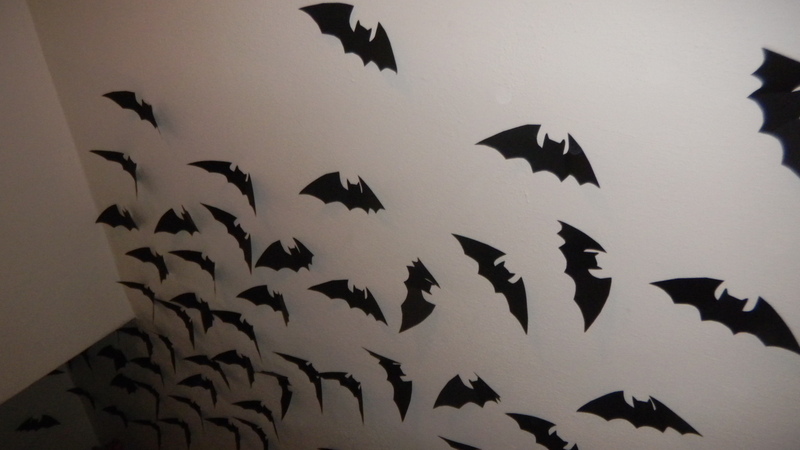 Once all the bats were cut out, I grabbed some plain tape and got to sticking them to the wall. The photos don’t do this justice. 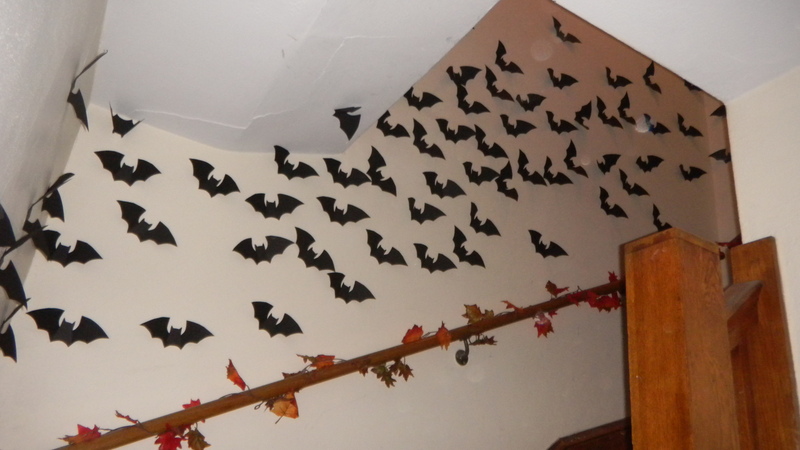 The stairway is a windy, narrow space, and these bats feel like they’re just flying ahead of you and up the stairs. It gets me in the Halloween mindset every time I walk in the door.